Peace through UK litigation -- for just £50K? It's 27 pages long and you can read it here: it's the Working Group’s Consultation on Proposals for Reform of the Patents County Court, published today by the Intellectual Property Court Users’ Committee. CIPA, the organisation representing the UK’s 1,500 patent attorneys, has welcomed today’s radical proposals to slash the cost of patent court cases. Under the proposals, businesses will have the chance to enforce their patent rights, trade marks and designs for a fraction of the existing costs. The Intellectual Property Court Users’ Committee has today (Friday 31 July) published its proposals to reduce the cost of a patent or trade mark court case from its current levels of between £500,000 and £1 million to a maximum of £50,000. Once implemented, this will have the effect of making the UK among the lowest-cost jurisdictions in Europe, rather than the most expensive, as it is at present. Key to the proposals, aimed at making the courts accessible to innovative SMEs involved in intellectual property disputes (usually patents, trade marks or designs) are to limit the costs which can be recovered in the Patents County Court to £50,000. This compares with typical costs up to £1 million or more for patent cases currently in the High Court and means that an SME will know what the maximum cost exposure is. Trials will be limited to 1 to 2 days. Paperwork and documentation will be slashed. Hearings will be heard as soon as possible after the parties have set out their case. I've not yet had time to read the report, but I'm posting this immediately in the hope of attracting attention and responses, particularly from informed readers with genuine experience of UK patent litigation. To refer, or not to refer? Mr Justice Arnold delivered his judgment this morning in Astellas Pharma Inc v Comptroller-General of Patents  EWHC 1916 (Pat), an appeal against the refusal of the Intellectual Property Office, United Kingdom, to extend the term of a patent by granting a supplementary protection certificate (SPC). SPC enthusiasts may already have seen a posting on this case on The SPC Blog here; the ruling gives an interesting insight into the manner in which a Patents Court judge decides whether, in respect of a dispute that is likely to go to the Court of Appeal, it is proper to refer questions to the Court of Justice of the European Communities for a preliminary ruling. 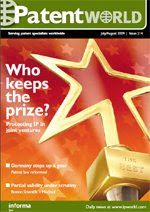 The newly-published July-August 2009 issue of Patent World carries two features on preliminary injunctive relief that will interest patent litigators. The first, "Tyre case clarifies injunction test", is a review by Jonathan Muenkel (Jones Day, US) of the decision of the CAFC last month in Titan Tire Corporation v Case New Holland, Inc, which touches on the weight given to the likelihood of the defendant's invalidity defence succeeding at trial. The second, "Interim measures in French patent disputes" by the Linklaters pairing of Marianne Schaffner and Lorraine Sautter, reflects rather the opposite trend, since it is subtitled "Validity takes a back seat". This article discusses the ruling this March in SAS Laboratories Negma/SAS Biogaran. You can see the detailed contents of this issue on PW's home page here. Zeno Corp (Formerly Known As Tyrell Inc) & Another v BSM-Bionic Solutions Management GmbH & Another  EWHC 1829 (Pat), a ruling by Mr Justice Lewison from the Patents Court, England and Wales, was delivered today. In a judgment that was focused far more on the issues of infringement and validity, there was an inevitably bias towards facts rather than law. However, the question arose as to whether the patent owner had made an unjustifiable threat to issue patent infringement proceedings, after some Boots retail outlets received a somewhat unusual communication (described below). iii) The writer of the letter was not an English lawyer to whom the conduct of proceedings about patent infringement in England would usually be entrusted. iv) On the other hand, the letter was not addressed to the manufacturer of Zeno, nor even to Boots head office. It was sent to the stores that were actually stocking the product. The packaging in which the Zeno product was sold displayed the name and address of the manufacturer in Houston Texas and its UK distributor. The writer of the letter knew who had manufactured the Zeno device; who had imported it and who was offering it for sale. So the purpose of the letter cannot have been to discover who was infringing the patent (if indeed it was being infringed). Was the "sole purpose" of the letter to discover whether the patent had been infringed? If the writer of the letter were genuinely concerned to ask about some technical characteristic of the Zeno device that would point out a difference between that device and the device described in the patent the obvious person to write to would be the manufacturer. Why should the retailer know the technical details of what it sold? And even if the retailer did know, surely the relevant person would be someone in head office responsible for Boots' corporate decision to stock it rather than any individual store manager. Why, then, were the letters sent to the retailers? The only answer must be to persuade them to stop selling the Zeno device. It partially succeeded in that objective. In my judgment that means that it cannot be said that "the sole purpose" of the letter was to discover whether the patent had been infringed. It is true that the letter made assertions about the patent; but it also made assertions about the Zeno device. "The question is not how the landlord understood the notices. The construction of the notices must be approached objectively. The issue is how a reasonable recipient would have understood the notices; and in considering this question the notices must be construed taking into account the relevant objective contextual scene." In my judgment the same applies here. It is not a question of how Boots understood the letter; but how a reasonable person in the position of Boots would have understood it. Read in context, through the eyes of a retailer, the letter amounted, in my judgment, to a veiled threat of infringement proceedings.". The judge appears to have got it right here, but the Patents Act 1977, s. 70, which deals with threats, has never been particularly easy to apply. PatLit wonders if it would be helpful if the Intellectual Property Office posted a set of general guidelines, based on judicial rulings, that litigators can refer to, perhaps also with actual examples of letters to suspected or alleged infringers that have been found to constitute threats and those which have not. Today the Court of Appeal (Lords Justices Ward, Jacob and Warren) dismissed both Gore's appeal and Geox's cross-appeal in W L Gore & Associates GMBH v Geox SPA  EWCA Civ 794, a keenly fought contest relating to two Geox patents and two proposed Gore shoes, one "cemented", the other"injected". Mr Justice Floyd inter alia had refused Gore's application for a declaration of non-infringement in respect of the cemented shoe, while granting a corresponding declaration in respect of the injected shoe. "The case involves no contested point of law – in oral argument - neither side took us to a single authority or statutory provision. The case turns entirely on the true construction of the main claims of the respective patents and on the descriptions in the PPD". The PPD (product and process description) -- as I understand it -- is required of an alleged infringer (or applicant for a declaration of non-infringement) in place of a formal disclosure and/or where it is not possible to deduce the process by examining the product itself. The party supplying a PPD should testify to the accuracy of the statement and, if required by the other party, offer the person responsible for it for cross-examination. Where any ambiguity or deficiency is found in an PPD, it should be resolved, or create a presumption, in favour of the other party. "6. ... Instead of simply describing particular proposed products and processes in detail (which it did) it began by indicating that more general variants were also contemplated. Gore had a good commercial reason for this: they propose to license their technology and it was possible that the licensees would make variants. The description describing the possible variants was not particularly clear and it was upon this that Mr Meade [for Geox, the patentee] seized. It would not have been possible for him to do so if the passage concerned had been written with greater clarity, by spelling out each variant with precision. 7. In future it may be better to spell out in detail first a particular and specific product or process (possibly also by reference to a sample if one exists) and then to itemise separately and clearly each possible variant in respect of which the party concerned wants a declaration. If an individual variant has within it a range or range of possibilities their limits should be clearly spelt out. Use of a word such as "generally" is likely to add fuzziness and may result in a refusal of a declaration. Quite apart from anything else, if this manner of drafting is followed and it later turns out that a particular variant may infringe it may still be possible to grant a declaration of non-infringement in respect of the specific embodiment described and perhaps in respect of some other specified variations – in effect blue-pencilling the variant which might infringe. 8. I say this because it is clearly the law that, as the Judge put it at : "The court is being asked to declare that everything falling within the description is not an infringement of the patent". So if a description is framed with a series of clear alternatives, declarations can be sought or made in respect of each clear alternative". It may be asked whether, in respect of proposed methods of manufacture, variant PPDs should be encouraged. What is there to prevent an applicant for a declaration of non-infringement coming forward with a plethora of closely related alternatives -- particularly in respect of a relatively complex patent -- in order to determine which of a number of possible options are available so that costing for the purposes of manufacture or outsourcing can be rendered as risk-free as the Patents Court or Court of Appeal can render it? Infringing goods in transit: are patents more efficacious than trade marks? In Nokia Corporation v Her Majesty's Revenue and Customs (noted here by the IPKat yesterday), Mr Justice Kitchin (Chancery Division, England and Wales) refused Nokia a judicial review of the refusal of the Customs authorities to detain some 400 counterfeit items -- phones and accessories -- that had arrived at London's Heathrow Airport on their way from Hong Kong to Colombia. The decision accepted that, since the counterfeit items had not been put on the market in the European Union, they could not be regarded as having infringed Nokia's registered trade mark rights. This being so, they could not be detained under Regulation 1383/2003. Two anonymous comments were posted on the IPKat's note which speculated as to whether it would have been wiser for Nokia to proceed on the basis that the items in question infringed its patent rights. PatLit invites readers to comment on the advantages and disadvantages of taking such a course. The recent issue of the Allen Arthur Robinson Intellectual Property Bulletin contains a note on the interlocutory injunctive relief granted by Justice Sundberg (Federal Court of Australia) to pharma originator Wyeth to restrain generic house Sigma from 'marketing, taking orders for, selling, supplying, offering to supply or otherwise exploiting in Australia' its generic formulation of venlafaxine hydrochloride. The note explains that venlafaxine hydrochloride, a serotonin-norepinephrine reuptake inhibitor, was prescribed for the treatment of major depression and anxiety disorders. 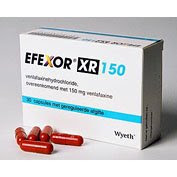 Although the basic patent had expired, Wyeth's patent for its Efexor-XR extended release formulation of venlafaxine hydrochloride was in force until 20 March 2017. Sigma received Australian Register of Therapeutic Goods (ARTG) listing for its Evelexa-XR extended release formulation of venlafaxine hydrochloride on 26 February 2009, this being first publicly disclosed on the ARTG on 6 March 2009. According to Sigma, it first became aware of Wyeth's extended-release formulation patent on the same day. Sigma launched Evelexa-XR on 1 May 2009 and commenced importing the product into Australia, planning to having the product delivered to pharmacists for sale by 1 June 2009. According to Justice Sundberg, there were serious issues to be tried both with regard to infringement and as to some of the asserted grounds of invalidity. While both parties had a prima facie case, the balance of convenience favoured the grant of an interlocutory injunction. * not 'bundle' venlafaxine hydrochloride with any other product. Even so, the court was concerned that Wyeth could expect to lose up to 50% of its market share if no relief were granted -- especially since, in the absence of any injunction, other generic pharma producers were likely to enter the market, making any quantification of damages in Wyeth's favour almost impossible to quantify. Sigma maintained that, since Evelexa-XR was the only generic on the market, any lost sales of Efexor-XR would be readily quantifiable because they could be directly translated into sales of Evelexa-XR. The court did not accept this. In its opinion, considering both the economic factor that Wyeth was the more likely to suffer from a disturbance of the status quo and the equitable factor that Sigma had entered the market 'with its eyes wide open'. There was also a safety issue for patients: if no interim relief were granted but a final injunction was granted, patients who switched to Evelexa-XR would be switched back to Efexor-XR when the generic was later taken off the market, and would suffer harm as a result. According to the note's authors (Sarah Matheson and Suzy Muller), the grant of this injunction follows recent Federal Court decisions in Interpharma Pty Ltd v Commissioner of Patents, GenRx Pty Ltd v Sanofi Aventis and Merck & Co Inc v GenRx Pty Ltd, suggesting that the Federal Court is increasingly amenable to arguments of irreparable harm and unquantifiable loss in pharmaceutical cases. The reverse of a reverse payment? From Reuters comes a summary of the settlement of the US patent infringement brought by Johnson & Johnson against Teva Pharmaceutical Industries Ltd in respect of Teva's US generic version of J&J's Ortho Tri-Cyclen Lo birth control pill. In short Teva, which briefly sold a generic version of the product earlier this month before ceasing shipments, has secured a licence to re-enter the market on 31 December 2015, or even earlier in certain circumstances (the patent is expected to expire in 2019). In return, Teva will pay J&J a royalty based on sales of its generic that it shipped. "This settlement compensates us for loss caused by their at-risk launch and recognizes the patent is valid and enforceable". "The settlement comes as US antitrust regulators and Congress are taking a closer look at patent settlements between brand and generic drugmakers amid allegations they shortchange consumers by delaying the arrival of low-cost generic drugs while the companies profit. Many settlements that have drawn objections involved a payment from brand companies to generic firms -- what critics call "pay-for-delay" deals. But Natixis Bleichroeder analyst Corey Davis noted the Teva-J&J settlement involved the opposite -- a payment from Teva back to J&J". "By not having any payments from the innovator, the (Federal Trade Commission) can have little basis to complain," Davis said in a research note". The deal is said by Teva to remain contingent on the US District Court for the District of New Jersey, which is seised of the patent litigation suit, upholding the validity and enforceability of J&J's patent. Today's Wall Street Journal reports on the disclosure by major originator pharma company Bristol-Myers Squibb that it has reached agreements to settle patent litigation stemming from its efforts three years ago to resolve a patent battle over its anti-clotting product Plavix. In a regulatory filing, BMS explained that it had reached an agreement in principle this May to pay $125 million to settle lawsuits brought against it which alleged that, by failing to disclose material information about its efforts to settle the Plavix patent litigation, both BMS and its former chief executive had acted in breach of US securities laws. In 2006 BMS had reached a tentative agreement with its Canadian adversary, Apotex, which would have the effect of blocking Apotex out of the US market for a generic version of Plavix some years before the patent expired. That patent settlement unravelled after it became known that a BMS executive had concluded an oral side agreement, and Apotex briefly sold generic Plavix in the US before a judge ordered it to stop. While BMS eventually won its patent action, sales of Plavix suffered in result. BMS has since pleaded guilty to federal criminal charges of lying to the US government about the proposed patent settlement, having agreed to pay a US$1 million fine in 2007. It seems to PatLit that, in the US, patent litigation is in general far more publicised than in Europe, and that both its existence and its outcome have a more obvious bearing in the stock value and performance ratings of both patent owners and their competitors. One wonders, though, whether the requirement to disclose information concerning both actual and aborted settlements of patent disputes weighs on the minds of the parties to US patent litigation at the time they are contemplating settlement. "It is not an in-depth guide and does not include many details which may be relevant in particular circumstances. You should get independent professional advice about any matters covered by the booklet and should not try to rely on this booklet alone". The booklet is written in crystal-clear terms, which makes it pretty handy to give not only to the small inventor or SME officer unversed in the arcane terminology of IP dispute resolution but also to anyone else who may be involved, such as witnesses. It should prove particularly helpful as preparatory reading material for the prospective litigant before he meets his professional adviser for the first time -- especially if the reader has a tendency to glaze over whenever legal terms confront him. Sample statements of grounds, counter-statements, witness statements and exhibits are provided by way of illustration, plus contact details for the Law Society, CIPA and the IPO itself. The booklet also draws the attention of the reader to two of the IPO's services that are arguably underused: its own mediation service and the facility of seeking an opinion on infringement or validity. Patents being one of the most fertile breeding-grounds of pedantry, it would be almost churlish to allow the following statement to pass without comment: "In appeals to the Court of Appeal and the House of Lords, it is usual for both sides to be represented by a barrister". Fortunately for those who strive to make a living at the bar, it is even more usual for each side to be represented by its own barrister. The booklet concludes with a green plea: "When you no longer need this booklet, please recycle it". PatLit feels that the office's environmental credentials will be enhanced when booklets like this, or at least the 'print' option, give readers the option of printing a text-only version without the design-friendly acres of empty white space and the aesthetically appealing but superfluous photos that consume the colour cartridges of the unwary. Glivec in India -- and thence to the WTO? "Novartis can also take their issue to the forum of the WTO’s Trade Related Intellectual Property Rights (TRIPS)". PatLit's TRIPS law may be a bit rusty, but isn't it only countries, and not individual parties, that can institute WTO complaints that a Member's patent law is not TRIPS-compliant? Further comment by Shamnad Basheer on this dispute may be found on the excellent Spicy IP blog here and here, among other places. Note: this item has been amended in the light of information received subsequent to its original posting. They considered this decision to be exceptional in that it not only undertook a full review of the previous Board of Appeal decisions which had construed G 5/83 narrowly but also considered the policy reasons for construing Article 52(4) EPC broadly and reviewed certain decisions of the national courts .... In concluding that the claim in issue was allowable on the basis of a broad interpretation of G 5/83, that Board of Appeal had declined to follow earlier Board of Appeal decisions and had not considered that a reference to the Enlarged Board of Appeal was required. legal questions to be decided in the referral in suit with an open mind, and that this would be seen to be the case by the parties interested in the outcome of said referral. They requested pursuant to Article 24(3) EPC that ... not participate as a member of the Enlarged Board of Appeal for deciding the referral in this case, on the ground of suspicion of partiality" [omissions are in the EPO's decision itself, not provided by PatLit]. The Enlarged Board considered that the applicant had no locus to challenge the Board member, since it was not a party to the proceedings in question. Nor was the fact that it was a party to proceedings in a European Patent Convention member state which might be influenced by the outcome of G-2/08 a compelling reason for hearing the applicant's complaint, since decisions of the Enlarged Board were binding only in proceedings before the EPO. However, the Board was obliged to consider the issue of partiality if there should come into its knowledge any matter which would constitute even a possible reason for excluding a member. On that basis it was prepared to entertain the application, which it dismissed. "On the one hand Board members must duly discharge their duty to sit in cases allocated to them in accordance with their jurisdictions both "ratione legis" and "ratione materiae", and can neither withdraw at will from the proceedings, nor be objected to, at will, by a party to the proceedings, or by any other person. Enlarged Board of Appeal in view of their judicial functions at final instance within the European patent granting system. The Enlarged Board in its present composition accepts this statement and the conclusions already drawn in these previously cited decisions. It is a general principle of law that a member should not decide a case in which one may have good reason to assume or even suspect partiality". "It is sufficient to state that said decision does not contain any bold contention, nor has it been substantiated in "such outspoken, extreme or unbalanced terms" that it would preclude the capacity of the member concerned from dealing with the pending referral with an open mind and without preconceived thoughts. Therefore there is nothing, whether "in concreto" or "in abstracto", in ...'s behaviour or in decision ... that could justify any suspicion against this member who therefore remains a member of the Enlarged Board of Appeal in the present case .... Order". "to keep fees at a level which ensures that innovative businesses and individuals in the UK (and beyond) can access and enjoy the benefits of the IP system". 41. The fee we charge for launching inter partes patent proceedings before the comptroller is currently £50. 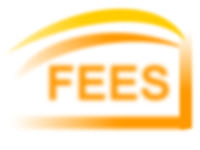 There are two reasons why we believe this fee to be disproportionately low. 42. First, these proceedings involve very substantial work for the IPO, including (in most cases) holding one or more hearings before a senior Hearing Officer, who then writes and issues a decision. Such proceedings tend to be more resource-intensive than other statutory services which currently have higher fees (such as patent search or examination). 43. Second, it does not seem consistent if the fee for such work, which results in a binding determination of the issues in dispute, is set to be significantly lower than the £200 fee payable to obtain a non-binding opinion on patent validity or infringement. 44. Mindful of these points, and of the Gowers recommendation that we must better match our fees to our costs, we are therefore proposing a substantial new fee relating to patent proceedings before the comptroller of £350. This reflects the significant resources that the IPO devotes to its patents litigation function. However, it would also maintain fees for litigation at a significantly lower level than those payable when taking forward litigation at the Patents Court – thus continuing to ensure that the IPO is a demonstrably lower-cost forum than the courts for resolution of certain patent disputes. 45. In most cases, a fee at this level would not enable us to cover our costs, but it is recognised that to raise the fee to a level where costs to the IPO were fully recovered would be inconsistent with the approach taken by the Patents Court, and would also risk denying certain users of the patents system access to the IPO as a forum for dispute resolution. 46. We propose to retain the current £50 fee for launching proceedings, but to introduce the further £350 fee at a later stage. This would be payable by the claimant after the defendant has filed a counter-statement, and so at the point where it has become clear that proceedings are contested. Failure to pay the fee would mean the proceedings were taken to be withdrawn. This would mean that uncontested actions would only attract a fee payable by the claimant of £50, recognising the reduced IPO costs. It would also ensure that uncontested inventorship actions (the most common way of addressing wrongly-mentioned inventors) remain accessible, as would uncontested revocation actions, which it is in the public interest to encourage as an affordable way of removing invalid patents from the Register. Q5: Do you think the proposed increase in litigation fees would affect the way that businesses and individuals maintain, challenge or defend patent rights?". Comments and responses can be emailed to the IPO and should arrive by 12 October 2009. Are non-binding Opinions a useful tool in patent litigation? It's a while since I last browsed the UK Intellectual Property Office's Requests for opinions page, which lists the patents in respect of which, for a very moderate fee, an informed opinion has been procured as to (i) the patent's validity and (ii) whether specific activities appear to infringe it. These opinions are non-binding but, at their point of introduction, I argued that they could be particularly useful for any party contemplating litigation. Although we have not yet seen out July, the number of requests for Opinions this year is 23, which suggests that it will be the busiest year yet for the Comptroller's services (between 2006 and 2008 the annual total of requests ranged from 27 to 30). More significantly, both among those who seek requests and among those whose patents are their subjects, the names of some businesses that are notably active in the field of patent litigation can be seen. PatLit would be pleased to hear from readers who deploy Opinions preparatory to litigation, or who have thought about doing so and then decided not to. Also, it would be good to hear from readers outside the UK as to whether any comparable service is offered in their jurisdictions. Do please let me know by posting a comment below or by emailing me here. KCI foam dressing patent held valid, but does anyone know what happened? According to RTTNews, Smith & Nephew's Advanced Wound Management division has received a favourable ruling from the Court of Appeal for England and Wales in a patent infringement/ validity dispute with Kinetic Concepts Inc (KCI). The Court apparently concluded that KCI's patent for the use of foam dressing kits with negative pressure wound therapy systems was invalid, lifting a previously issued injunction against Smith & Nephew. The news item reports that KCI plans to appeal to the House of Lords, adding that this ruling is limited to the UK patent at issue and does not directly affect the other patents in KCI's portfolio or any other proceedings outside the UK. Winning the Patent Damages Case: a Litigator's Guide to Economic Models and Other Damage Strategies is the sort of title that is bound to set the patent litgator's pulse racing -- and this little book, by California lawyer Richard Cauley, does not disappoint. The author, a partner in the Newport Beach law firm of Wang, Hartmann & Gibbs, was formerly a partner in the Palo Alto office of McDermott Will & Emery, LLP. An experienced trial attorney, he specialises in complex intellectual property and antitrust matters and lays claim to particular expertise in matters requiring economic and financial analysis. Those last four words often presage an intention to break into algebra at the drop of a hat, informing the legal reader that the proper calculation of damages (x) is along the lines of x = ∞⅓<√∏. Fortunately the author does not seek to blind his readers with this sort of thing; it's a short book and it's all in English because it explains the principle upon which patent damages may be asserted, leaving the sums to those who can do that sort of work more cheaply than if it were left to litigation lawyers with their calculators. Symbolic notation is simplified into concepts like "Equal Bargaining Power B = 0.5" as the Lemley/Shapiro principle is broken down into lawyer-sized bites. The book is actually very readable and doesn't require to carry either a dictionary or a law library around with him in order to appreciate it. So what do the publishers, Oxford University Press's US desk based in New York, say about the book? "Patent litigation is a lengthy and expensive exercise typically dominated by scientific and technical inquiry, but the economic side of a case -- namely, the damages phase -- is too often neglected. In such instances, substantial economic damage to the plaintiff and potentially devastating financial consequences to the defendant are given too little priority before and during litigation, which can result in an ineffective damages case and create unnecessary expenses. Conducting sophisticated economic analysis and creative discovery for the damages case from the outset can help prevent this detrimental result. By focusing on how to build an analytical framework for likely damages awards, Winning the Patent Damages Case provides valuable information on how to structure a patent case from an economic standpoint, from start to finish". There's nothing on the website or cover of the book to suggest that it explains the theory and practice of only US law. That's not to say that it's not useful and/or interesting for the non-US reader, and we all know that US patent damages, whether on a reasonable royalty basis or any other, are likely to be way in excess of anything that a court will order elsewhere. However, in an increasingly small world with increasingly global markets it makes sense for readers who need to know about patent damages to get a sense of what happens elsewhere, if only to help focus the mind on negotiating a settlement that spills across other major jurisdictions. If this is right, then OUP should be encouraged to bring out companion volumes -- particularly for Europe. Bibligraphical details: ISBN13: 9780195366938, ISBN10: 019536693X. Paperback, xiv + 165 pages. Price: $185. Website here. In his ruling published today in Novartis AG and Cibavision AG v Johnson & Johnson Medical Ltd and others  EWHC 1671 (Pat), Mr Justice Kitchin (Patents Court, England and Wales) held that Novartis's controversial '258 patent was invalid for insufficiency, through Johnson & Johnson's attacks based on lack of novelty and obviousness failed. 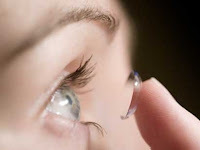 J&J's Oasys lens fell in the scope of claims 1 and 24 of that patent, but not claims 8 or 11. The same patent was held valid and infringed on 11 February 2009 in the Netherlands (see earlier PatLit post here), in a judgment that was very much shorter, possibly because it did not occupy 16 days of court time. Every decision in which national versions of a European patent are upheld in one country but not another is a nail in the coffin of the opponents of European patent litigation reform. "Novartis initiated interim injunction proceedings to obtain a preliminary injunction against two generics manufacturers, Mylan and Actavis, based its European Patent 0 948 320 for a sustained release formulation of fluvastatin, a drug for the treatment of hypercholesterolemia. Novartis' patent had been nullified by the District Court for lack of inventive step by decision of 4 June 2008. Novartis had appealed against the first instance decision; the oral hearing in the appeal proceedings is scheduled for December 2009. Normally, in such a situation, the patent owner would not take infringement action unless and until the Court of Appeal has overturned the decision of the District Court. However, Novartis argued here that the District Court had clearly erred when finding that the patent lacked inventive step. For that reason, and since the recent market introduction of generic fluvastatin SR meant that Novartis was about to incur irreparable damage (or so it said), Novartis argued it had an urgent interest in obtaining an injunction against Mylan and Actavis and could not await the appeal judgment. This is the first time that, in the Netherlands, a patent owner has attempted to obtain a preliminary injunction based on a patent that had been nullified in proceedings on the merits beforehand. Novartis' action is likely to have been inspired by the recent Olanzapine case in Germany, the facts of which case were similar to those of the Dutch case. In the instant decision, the Provisions Judge found that there were no grounds for an injunction, since Novartis had not established that the District Court in the proceedings on the merits had made an evident error. Furthermore, the Judge ruled that, contrary to the arguments of Novartis, the decision of the District court to invalidate the patent has immediate effect erga omnes and is not suspended by appeal. This seems to imply that, after an invalidity decision in first instance, generics companies can enter the market pending appeal proceedings without fear of an injunction (of course, should the patent later revive as a result of a later judgment overturning the first instance decision, they could be liable for damages). A translation of the decision is not yet available". Thanks, Jaap and Marleen, for this information. PatLit's readers look forward to finding out what happens next. Today's Pharma Sector Report from the European Commission's DG Competition contains a large amount of statistical data concerning the litigation and/or settlement of disputes involving pharmaceutical patents in more than half the member states of the European Union. There's far too much data for PatLit to be able to make a convenient summary of it and, despite its extensive use of tabular formats to illustrate and contrast numbers and trends, there is in any event only a limited amount that one can learn from them. For example, they cannot take into account the merits of the cases before the courts in terms of such core issues as the (non)obvious nature of disputed patents and the scope of the claims in both infringement and validity proceedings. While DG Competition comes out in support of both a Community patent and a unitary court system for the litigation of patent disputes, its investigation was principally into matters concerning competitiveness within the pharma sector and the report does little more than endorse the position which the Commission is already known to hold. "(656) ... the subsample of cases with interim injunctions shows two particular features, namely: a high ratio of settled cases (73%, i.e. 44 out of 60 cases, which are final) and a low ratio of judged final cases (27%, i.e. 16 out of 60 cases). Furthermore, it is interesting to note that in the subgroup of settled cases, there is a tendency to end litigation with the conditions that are favourable to generic companies (i.e. either allowing generic entry or a value transfer from the originator to the generic company). Even if this cannot be regarded to be a conclusive indication as to likely outcome of the respective court cases, this element needs to be borne in mind when interpreting a higher proportion of the cases with interim injunction won by originator companies (11 out of 16 cases). (657) The overall picture is thus more nuanced than one would have expected from the cases in which interim injunctions, the most restrictive legal tool, were granted, taking into account that, when requesting interim injunctions, the applicant is usually required to show that he is likely to succeed in the main proceedings and to demonstrate urgency. Adding up the actual generic successes (8%) and the settled cases appearing to be particularly favourable to the generic companies (38%), it would seem that in almost a half of the closed cases the grant of interim injunctions might not have been justified, whilst in another 25% of the cases that were settled the situation is unclear". Judgment was given today by Mr Justice Lewison in Cranway Ltd v Playtech Ltd & others  EWHC 1588 (Pat), a decision of the Patents Court for England and Wales. Cranway claimed that Playtech and the Tote infringed their online gambling patent (EP 0625760B1). 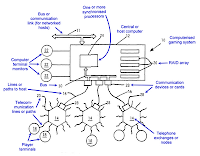 The patent related to an interactive, real time, realistic "home" computer gaming system using general purpose computers. Playtech and the Tote denied infringement and challenged the patent's validity for lack of novelty, lack of inventive step and for not being an invention within the meaning of the Patents Act 197.
" ... a person (other than the proprietor of the patent) also infringes a patent for an invention if, while the patent is in force and without the consent of the proprietor, he supplies or offers to supply in the United Kingdom a person other than a licensee or other person entitled to work the invention with any of the means, relating to an essential element of the invention, for putting the invention into effect when he knows, or it is obvious to a reasonable person in the circumstances, that those means are suitable for putting, and are intended to put, the invention into effect in the United Kingdom" (emphasis added). "Whether means are suitable for putting an invention into effect must be a purely objective test. But whether they are intended to put an invention into effect cannot be wholly objective. Only human beings can have intentions, although their intentions may be attributed to other legal persons, according to rules of attribution. Thus this limb of the test must depend on the subjective intention of someone. A supplier of essential means might reasonably be supposed to know what the intention of his immediate counter-party is. But it would be a far stronger thing to expect him to discern the intention of a person far down the supply chain. Moreover, at the time of the supplier's supply of the essential means the person who ultimately forms the intention to use the means to put the invention into effect may not be ascertainable and he may not have formed that intention. It thus seems to me to be more likely that section 60(2) was directed to a supply of essential means to a direct infringer rather than to another secondary infringer. ... ". It isn't yet available on BAILII, but Friday's judgment of Mr Justice Floyd (Patents Court, England and Wales) in MMI Research Ltd v Cellxion Ltd and others  EWHC 1533 (Pat) is worth a read, dealing with the popular issues of (i) scope of injunctive relief and (ii) stay of proceedings pending an appeal. "8. Before any act which would otherwise be an infringement ceases to be so by virtue of this section, it must be established that the person doing the act is a government department or a person authorised in writing by a government department. In opening the case at this adjourned hearing, Mr Howe QC [for MMI] assumed that, given that it was being said that authorisation of police forces was irrelevant, the defendants must be seeking to establish that the police forces were a government department. Mr Wilson [for Cellxion] intervened to say that this was not part of the defendants’ case. He said, although there was no evidence at all to this effect, that his clients were hoping to obtain “an authorisation”. There was no evidence as to what steps had been taken to obtain an authorisation, whether the authorisation was intended to be of the defendants or the police forces, and whether retrospective or prospective authorisation was being sought. This position was of course in contrast to the position taken in the skeleton argument that the authorisation procedure had no application to the case except in respect of demonstrations or non-police sales. 9. The change of position by the defendants also had the effect that the question which I was being asked to decide in respect of police forces had become hypothetical. The court does not readily entertain hypothetical questions. One obvious reason is that the question may never arise in fact – as here. Another reason is that it is far better to decide questions of law when in possession of the facts, rather than in contemplation of a variety of different factual scenarios, not all of which may be foreseeable. That is also the case here. If the defendants obtain an authorisation it may, as they point out, be retrospective. Does that render non-infringing the sale of the original machine made at a time when the defendants had no reason to suppose that the Police were authorised? This is not a matter which has been properly argued before me, and arises only because of the different way in which the defendants now put their case. 10. The defendants did not put before me any draft order explaining how the various injunctions, declarations and inquiry were to be limited in the event of an authorisation of the police or the defendants by the Crown. This is perhaps explicable by the fact that, until the hearing, the defendants were contending that authorisation was “nearly inapplicable to this case”. But such a draft order would have to deal with a variety of hypothetical circumstances, and I am by no means certain that the parties would not encounter further disputes over the drafting of such a document. 11. I have come to the conclusion, reluctantly, that it would be wrong for me to attempt to deal with points which might in the future arise if the defendants or the police obtain an authorisation to use the invention from a government department. It is true that one question which will arise in the event that some form of authorisation is obtained is whether use by the Police can be properly authorised under the section at all, given the dual requirement that the use must be both authorised by the department and “for the services of the Crown”. It is plain that these words operate to limit the acts which a government department can authorise ... There are arguments in both directions on this issue in the present case: the claimants arguing for a narrower “organisational” construction, the defendants for a wider “functional” construction. The clamants also take a point on the absence of any notification to them under section 55(7). But I do not think it would be right to decide even these questions until they actually arise". "31. There is no right to a stay of an injunction pending an appeal, far less to a stay pending an application for permission to appeal to the Court of Appeal which has yet to be determined. In order to determine whether a stay should be granted the court needs to be put properly into possession of the relevant facts, in order to answer the relevant questions which are (a) what effect would the grant of an injunction, which later turned out ought not to have been granted, have on the defendants? (b) what effect would the refusal of the injunction have on the claimant who has at this stage established his right? and (c) what steps should the court take in order to place the appeal court in the best position to do justice between the parties?" You can read the judgment in full here. PatLit is delighted to have secured its place as a Global Top Twenty patent weblog, even though it is still only six months old. According to the IP Watchdog Top Patent Blog poll results, PatLit came joint 20th in the "Favourite" poll and 22nd in the "Most frequently read" poll. The PatLit team would like to thank those people who took the time and trouble to vote for this little venture -- and to congratulate Patently-O, an outstanding patent blog that deservedly came first by a long way in both polls. Finally, thanks to Gene Quinn of IP Watchdog, who went to the trouble of organising the whole thing and who gets all the stick that goes with it. The Court of Appeal for England and Wales gave its judgment today in Generics (UK) Ltd v Daiichi Pharmaceutical Co Ltd and Daiichi Sankyo Co Ltd  EWCA Civ 646. 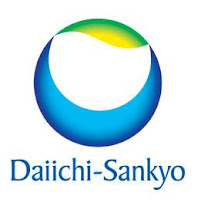 For the court, Lord Justice Jacob upheld the decision of Mr Justice Kitchin of 15 October 2008 that Daichi's levofloxacin patent and the SPC which was based upon it were both valid. "80. Nor am I impressed with the cases cited from outside the EU, including the one from the US cited by Mr Waugh. The reason is simple – they are all concerned with different statutory language, views of the facts and policies. Thus in the Israeli case the registrar specifically had regard to the fact that the EU Regulation was in different language from that in Israel .... On appeal Judge Sobel specifically had regard to the strong Israeli generics drug industry ... and specifically rejected decisions abroad on the basis that they were of "lesser importance" given the specifically Israeli context of the legislation. He cited a decision of the High Court: "Law is a creature that lives in its surroundings and the environment of Israeli law differs from English or American law, even if their formulation is different". 81. The Australian case too was concerned with different statutory language: "containing, or consisting of, the substance" were the key words. It is wholly understandable that all the judges concluded that a racemate "contains" its enantiomers. 82. Nor do I find assistance from the US case relied upon the other way by Mr Waugh. It was Ortho-McNeil v Lupin Pharmaceutical, 30th April 2009 (US District Court of New Jersey, Chief District Judge Brown). A patent extension for levofloxacin was granted under USC §156. But again the language of that provision was different from that with which we are concerned, though it indeed may be somewhat closer to ours than the Israeli or Australian language. 83. So the foreign (i.e. non-EU) cases cut no ice either way. The upshot is that the SPC was clearly properly granted and this appeal should be dismissed". PatLit suspects that barristers are about as likely to give up citing foreign and presumptively irrelevant cases as British judges are to accept them. This blog wonders which counsel will be the next to cite them in an IP appeal -- and whether it is even wise to do so. "I think he should've shown a little more emotion"
Writing for Law.com today, Zusha Elinson ("Anatomy of a $1.67 Billion IP Verdict") discusses the massive US $1.67 billion patent infringement damages award in favour of Johnson & Johnson against Abbott Laboratories. The dispute related to Abbott's Humira arthritis drug which, J&J alleged, infringed its own Remicade product. "The out-of-town lawyers -- Lee is from Boston, and Elderkin is from Philadelphia -- took about half an hour each, with the Texas lawyers finishing the last 15 minutes on folksy notes". "He was very knowledgeable, but for about five or 10 minutes he stood there with his arms crossed while he was talking to the jury. I think he should've shown a little more emotion". Aphorisms were much in evidence. Lee apparently alluded throughout the trial to the Chinese proverb, "Give a man a fish; you have fed him for a day. Teach a man to fish; and you have fed him for a lifetime", to persuade the court of his client's truly original role in developing the arthritis treatment. J&J retailiated with a quotation from the prophet Isaiah, asking the jury, "Come now, let us reason together", as they discussed the quantum of damages.